with over 18 years of experience helping people downsize, rightsize, pack, move, unpack and settle in with ease. We will take the stress and frustration out of your move by managing every step of the process. Leave it to us – we’ll take care of everything! You can even go on vacation and return to a completely unpacked and organized new home. Imagine how nice that would be! This includes: assembling furniture and other items, setting up kitchen and living areas, organizing clothing, installing electronics; hanging pictures, curtains rods, closet and garage systems and more! We have teamed up with regional experts to make sure you get the best moving services possible. Whether you’re moving across town, or across the globe, our move organizing and move management services will help you through every step of the process. 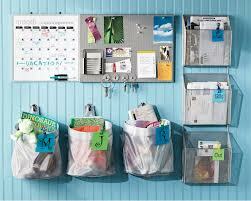 A Professional Organizer can help plan, prepare, pack, supervise, unpack, organize and settle you into your new home. Moving can be a stressful time, but with the help of an organizer, it doesn’t have to be. Sit back, relax and leave it to the Organizing Boston team! We’ll get it done! The moving team at Organizing Boston has successfully completed hundreds (and hundreds!) of moves. We are teamed up with several top relocation companies and we are their go-to resource for move organizing help whenever one of their clients are moving into or out of Boston. In the summer of 2015, we completed over 100 moves for a large Boston-based bio-tech company. We are relied upon for our knowledge, experience and exceptional customer service. You’re in good hands with an Organizing Boston move organizer!